Bravo, Canadian broadcaster Michael Coren! This is stupendous! 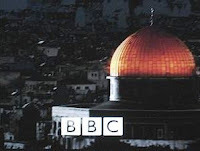 Undoubtedly to reiterate their contention that Jerusalem is not Israel's capital, the fiends at the BBC have bumped up this nasty piece of propaganda from 2010 into renewed prominence on the Middle East section of their website. That's the question posed by one of my much valued Christian readers, Ian G, who earlier today visited the Birmingham (UK) Museum to see a British Museum touring exhibition about the Pharoahs. "I have just visited the exhibition in Birmingham. I was exceedingly disappointed with an overpriced and dull waste of an hour. Furthermore, there was a gross inaccuracy that would appear to be supporting the bogus Arab claim that Palestine pre-existed Israel. On the time-line you state that one of the Pharoahs conducted campaigns against Nubia and Palestine in 2055 BC. It was, at that point, Canaan. The Sea People, later the Philistines, did not occupy what we now call the Gaza Strip until the 12th Century BC. The name of Palestine was not commonly given to the whole of the land until the Romans ethnically cleansed Israel in 70 AD. 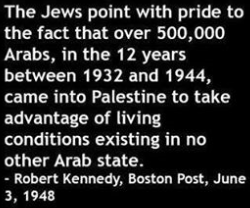 Palestine was never an independent Kingdom and did not include any Arabs until after the Islamic conquests. Finally, it was part of the British Mandate and Israel was re-established by the League of Nations and then by the UN in 1947. The Gaza Strip was taken by Egypt and Samaria (West Bank) by Jordan and it has been Arab occupied land since then. Yasser Arafat created the notion of an Arab Palestine after the Arab defeat in 1967. It seems that you are colluding in the rewriting of history in order to give an Arab Palestine a bogus history and to deny Israel's legitimacy. Using Palestine as a substitute for Canaan is disingenuous as you do not explain where Nubia was. Will this egregious mistake be corrected or will you continue misleading the public over this politically sensitive issue?" "I am sorry to hear that you did not find the exhibition engaging. In archaeological and Egyptological discourse, ‘Palestine’ (and ‘Syro-Palestine’) refers to an area (broadly from the north of Sinai to Kadesh, and from the Mediterranean to the current Jordan border), not a present or past state. Similarly ‘Nubia’ is an area that overlaps the boundaries of several historic polities, including today. “Israel” is generally used to refer to the modern state, and “Israelites” as the group of people first mentioned in ancient texts on the stela of Merenptah in the 13th century BC. There is no reference to Arab peoples, or the Palestinian Authority in the exhibition, which would of course be inappropriate given the timeframe covered. Please accept our apologies if the wording has caused any offence. Neal Spencer, British Museum"
"I agree that Nubia needs explanation which isn’t given on the timeline. 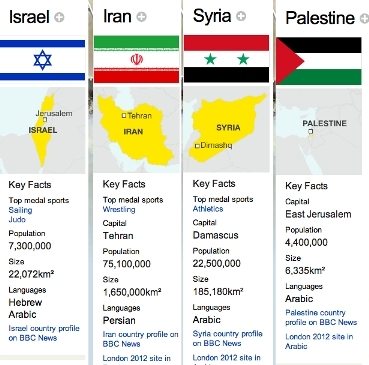 Clearly, Palestine also needs explanation. It is a politically charged term and gives rise to the misconception that Palestine pre-dates Israel. You claim that the term is part of archaeological and Egyptological discourse. G.W. Anderson some-time Professor of Hebrew and O.T. Studies at Edinburgh in his book ‘A Critical Introduction to the Old Testament’ ( published 1959 and revised several times till 1972) never refers to the Land as Palestine. Similarly, ‘Bernhard W. Anderson Living World of the Old Testament (2nd Edition 1967)’ which has even more archaeological content that his namesake. Also John Bright ‘A History of Israel’ only uses the term on maps and then not until the Maccabees. By then, some Greek writings were using the term. Hardly surprising, considering the origins of the Philistines. 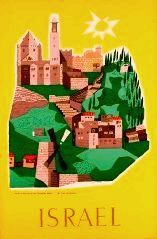 More recently, the Illustrated Bible Dictionary IVP 1980 has an extensive entry for Palestine, but only for geology, geography, agriculture and the like. For history, it cross-refers to Canaan, Israel, Judah and the Philistines. For archaeology, it refers to individual sites. Some entries do use the term Palestine rather loosely but the current revisionism was not really underway in 1980. The use of Palestine and Syro-Palestine date from Roman times. This latter term, along with period of Syrian occupation well before the Romans, provide the basis for modern day Syria’s claims to Israel as a province of Syria. These terms are loaded. 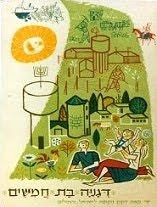 Nubia, was at various times and with various borders, an independent, self-ruling, political entity. Palestine has never been an independent, self-ruling, political entity. Nubia existed in 2055 BC. Palestine did not. To use both words in the same sentence and in the same way must lead to the inference that they are similar entities. Currently, the Palestinian Authority, the Waqf and various other ‘scholars’ are promulgating a version of history which eradicates Israel from the Land altogether. Although to any rational scholar this is ridiculous, many people now believe it. In Theology, the term ‘myth’ has a precise meaning and does not, necessarily, imply that an event is unhistorical. Most people think it means ‘fairy tale’. When educating the general public one needs to be aware of this sort of misunderstanding. I don’t accept that Palestine is a scholarly term, in common scholastic use and (especially since 1947), referring to a particular or general area. 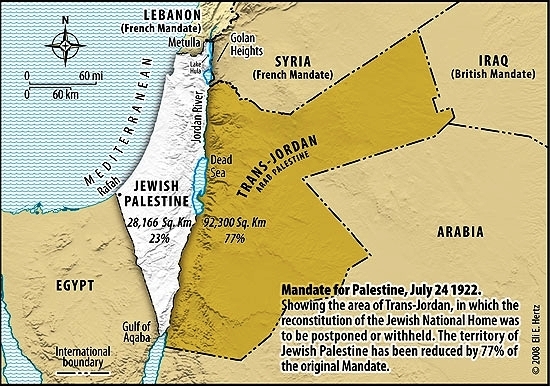 You draw its border at the Jordan, but the British Mandate included Trans-Jordan (now the Kingdom of Jordan) and I have maps that include what is now part of Syria. In other words, the term you are using as a general scholarly term is, in fact, politically defined. On the time-line Palestine is used to refer to Canaan in 2055 BC. The area you define as Palestine would not include parts of Canaan! Which is my point. It would have been simple to include a foot-note explaining where Nubia and Canaan were. 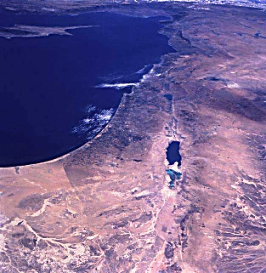 In the case of Canaan; Israel, the disputed territories and part of Jordan. In the case of Nubia; parts of Southern Egypt and Northern Sudan. In the meantime, your exhibition states that Palestine existed in 2055 BC. At best, this is poor scholarship, bad teaching and dangerously ignorant of politics. 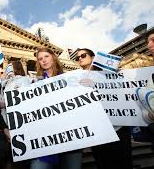 At worst, it is collusion with those who seek to eradicate Israel ‘from the River to the Sea’. ” (broadly from the north of Sinai to Kadesh, and from the Mediterranean to the current Jordan border) “. It is not a matter of offense to me. 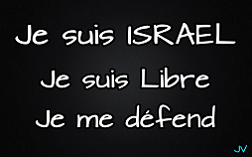 I am not a Jew or an Israeli. It is a matter of scholarly accuracy and, also, sensitivity to the current and volatile situation in the Land." How odious the International Olympic Committee's refusal to commemorate the eleven Israeli Olympians massacred 40 years ago is was brought home to me when I watched part of the opening ceremony, and saw that other victims were commemorated. 'We were deeply disappointed that the IOC did not see fit to remember during the Opening Ceremony the eleven Israeli athletes murdered during the Munich Olympic Games 40 years ago. Only a few days we were told by IOC President Jacques Rogge that "the opening ceremony is an atmosphere that is not fit to remember such a tragic incident". However, the Opening Ceremony did include moments of silence and respect for those British citizens who died during terror attacks. We can only conclude that Rogge meant that the opening ceremony was not fit to remember a tragic incident involving Israelis. On Friday night, Rogge finally ran out of excuses. He said a minute silence was not part of the protocol, yet many previous Olympic Games Opening Ceremonies held a minute silence. It was claimed that it was too political, yet many political causes have been remembered and utilized during opening ceremonies. Finally, he used this his card, that it was not an atmosphere fit to remember such a tragic incident, yet other tragic incidents were remembered. 'For 40 years, the IOC has refused to commemorate the Israeli victims with a minute of silence.It claims it is “not a political organization”. But the IOC president spoke about the Bosnian war at the opening ceremony of the 1996 games. And the 2002 Winter Olympic games opened with a minute of silence for the victims of the 9/11 attacks. "There is only one explanation for it,” said the widow of the one those murdered. 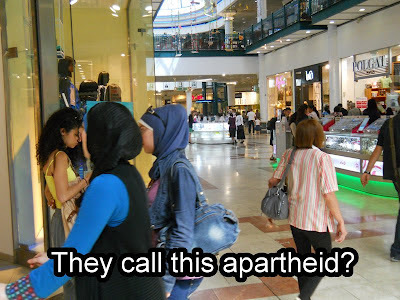 “It is because they are Israeli." The chair of the Foreign Affairs Committee of the U.S. Congress also said last week: "We know why the IOC has refused our request for a minute’s silence: Because the murdered Olympians were Israeli." Further evidence that the Olympic spirit does not extend to Israelis has been seen not only in the refusal of the Lebanese judo team to train alongside Israelis, but in the fact that (despite all the blather about "The Olympic Family" made by Olympic organisers at press conferences), Olympic officials willingly obliged tby screening the Israelis from the Lebanese team's view: "they can't see us, but they will smell us," observed an Israeli archly. "Congratulations to Tunisian swimmer Taqi Murabit who refused to compete today in the pool at London 2012 due to the presence of an Israeli competitor in his heat who is a member of the Israeli Air Force which routinely bombs occupied Palestine." Here's Sydney lawyer and international affairs analyst David Singer's latest article via the antipodean J-Wire service. 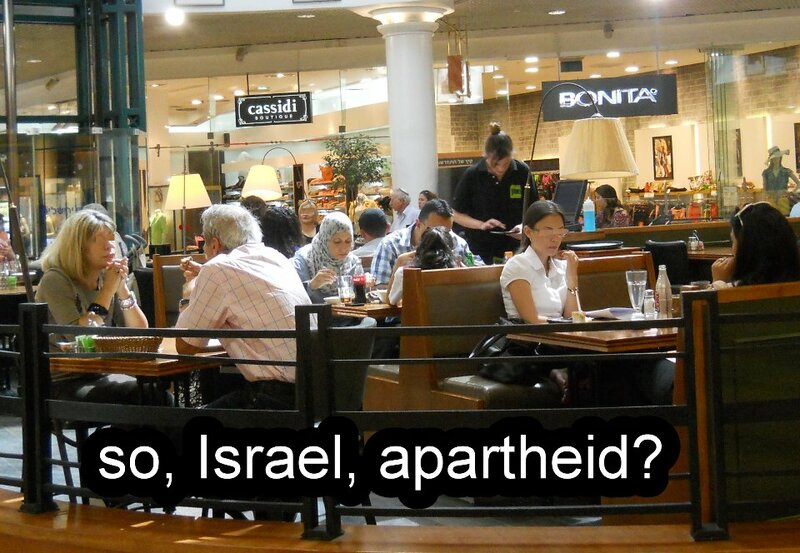 It's entitled "Palestine – Jews and Arabs, the Mandate and the Law". 'The Levy Commission’s resurrection of the Mandate for Palestine as the legal title deed establishing Israel’s entitlement to claim sovereignty in the West Bank has come 48 years after the Palestine Liberation Organization (PLO) first tried to bury it. "legal experts examining a legal situation and making legally oriented recommendations". 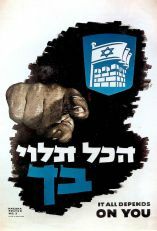 Two short statements made by the PLO in 1964 and 1968 had attempted to negate the unanimous decision of the League of Nations in 1922 to grant the Mandate for Palestine to Great Britain to enable the Jewish People to reconstitute the Jewish National Home in any part of former Palestine. Those statements also became the opening shots in an ongoing and concerted Arab campaign of misinformation and disinformation to denigrate and vilify the Jewish People’s entitlement to its own state in its ancient and biblical homeland. 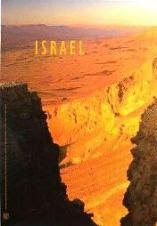 They provide potent evidence to explain why the conflict between Arabs and Jews still remains unresolved in 2012. "The Balfour Declaration, the Mandate system and all that have been based upon them are considered fraud"
The second – in 1968 – followed the loss of the West Bank by Jordan to Israel in the 1967 Six Day War. "The Balfour Declaration, the Mandate for Palestine and everything that has been based on them are deemed null and void." 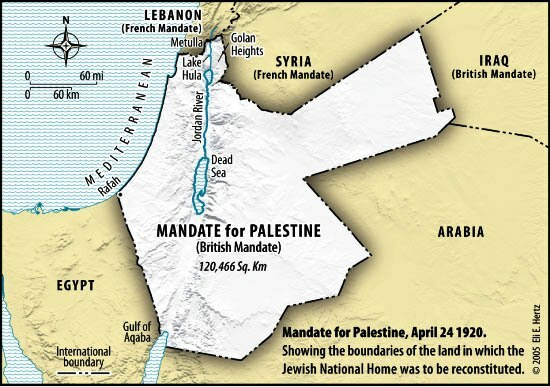 The change – from the "Mandate system" being "fraud" – to the "Mandate for Palestine" being "null and void" – was deliberate. 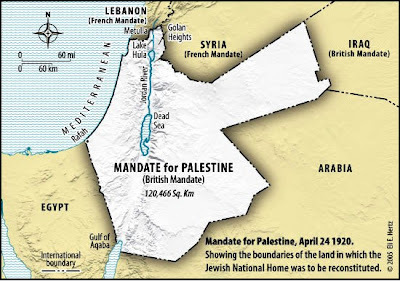 The "Mandate system" – in the form of the Mandates for Syria and Lebanon and Mesopotamia (Iraq) – had delivered self-determination for the Arabs and the creation of three sovereign Arab states. To continue to declare the Mandate system a "fraud" would undermine the sovereign integrity of those Arab states. 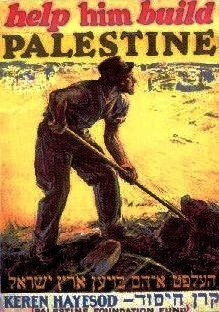 The Mandate for Palestine was solely targeted. It was no longer a "fraud" – it was "null and void". The Arabs were perfectly entitled to ignore this body of international law if they wished – but they should have been forced to pay a high price for doing so in the form of suspension from membership of the United Nations and its other organs – until they acknowledged and agreed to accept the rule of law in the conduct of international relations between member states of the UN. Instead, the international community pandered to the whim of these serial law-deniers for a variety of reasons – mainly oil, terrorism and geopolitical jockeying for influence in the Arab world. 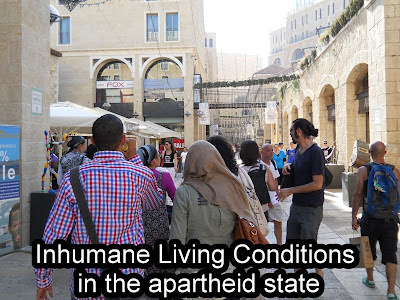 The International Court of Justice (ICJ), in its 2004 decision on the legality of Israel‘s security barrier, gave an air of legal respectability to the irrelevance of the Mandate – referring to it only once in the following statement. 'Certain communities, formerly belonging to the Turkish Empire have reached a stage of development where their existence as independent nations can be provisionally recognized subject to the rendering of administrative advice and assistance by a Mandatory until such time as they are able to stand alone.'" "The Mandate is of a different type from the Mandate for Syria and the Lebanon and the draft Mandate for ‘Iraq. These latter, which were called for convenience “A” Mandates, accorded with the fourth paragraph of Article 22. 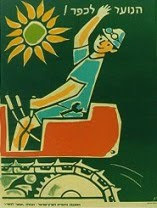 Thus the Syrian Mandate provided that the government should be based on an organic law which should take into account the rights,interests and wishes of all the inhabitants,and that measures should be enacted "to facilitate the progressive development of Syria and the Lebanon as independent States". The corresponding sentences of the draft Mandate for ‘Iraq’ were the same. In compliance with them National Legislatures were established in due course on an elective basis. "Jews were admitted to be in Palestine by right. 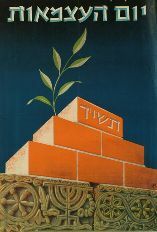 The little Jewish minority was to be helped to grow by immigration. 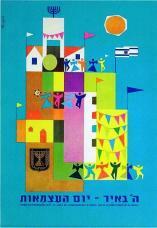 To facilitate the establishment of the Jewish National Home was a binding international obligation on the Mandatory." "The Mandate also imposed specific obligations towards the Arabs.Their civil and religious rights and their position as affected by immigration and land-settlement were not to be prejudiced." 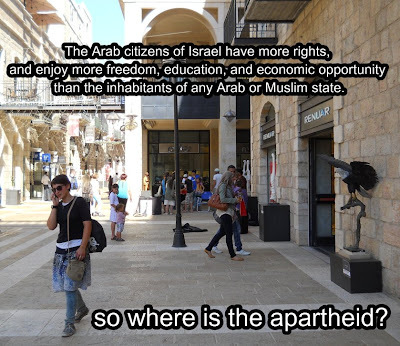 Notably absent in the Mandate was any mention of the Arabs in Palestine having any political rights. For the ICJ to summarily dismiss the Mandate and make the fundamental error it did in just one sentence shows how successful the campaign begun by the Arabs 40 years earlier had become.The ICJ decision has since been used as a whipping post at the United Nations to deny that Israel has any rights in international law to be and remain in the West Bank. 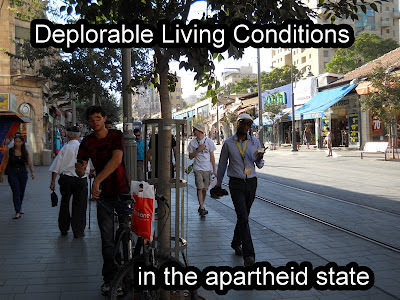 The Levy Committee has reversed that downward spiral and identified the Mandate for Palestine as the legal basis for any decisions taken by Israel aimed at resolving the allocation of sovereignty in the West Bank between Jews and Arabs. Here's a telling video released by the Emergency Committee for Israel (ECI) regarding the Obama administration and Jerusalem. Does Obama recognise Jerusalem as Israel's capital, or doesn't he? The London Jewish Chronicle reveals the substance of a distressing meeting that the widows of two of the eleven murdered members of the 1972 Israeli Olympic team have had in London with Jacques Rogge, president of the International Olympic Committee. The widows of Andrei Spitzer,who was the team's fencing coach, and of Yossef Romano, who was a weightlifter, handed Rogge a petition, signed by 105,000 people, that requested a minute's silence for the Israeli victims 40 years after their deaths in Munich at the hands of terrorists. But despite the widows' heart-wrenching pleas Rogge remained adamant that there will be no such mark of respect at the opening of this year's games. "I asked him 'is it because they were Israelis?' and he didn't answer." A reaction from the IOU president that is eloquent in its silence. "In London we are told that it is not in the protocol of the opening ceremony. I'm sure it is not in the protocol that our husbands went home in coffins. We just want them to be remembered as athletes, they don't have to say Israelis. As members of the Olympic family they should be honoured at the Olympics." She called on ticketholders to mark the anniversary by rising to their feet for a moment when Rogge speaks at the Opening Ceremony. "Remembering is important, first, because of the victims, but also because many Europeans adopted the wrong attitude towards Palestinian terrorism after the Munich attack. The culprits who were arrested were later quietly released for fear of further attacks. And because of that initial fear the terrorists knew how to take advantage of the situation and to press for more rewards. .... Terrorism is not a natural phenomenon; it doesn't happen spontaneously; it's not something ethereal. It can and must be fought using all the tools provided by the law and democracy - and most importantly, it can be defeated if there is the will to defeat it. 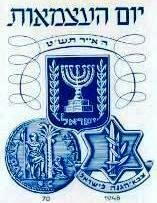 Israel has provided ample proof that it possesses that will, since its own existence is at stake. To marginalise or isolate Israel to avoid irritating Turkey is a big mistake. All of the Middle East, from Morocco to the Gulf, is undergoing profound, although not always peaceful, change, which is yielding very disturbing results. Although the elections in Tunisia, Libya and Egypt are something new and promising for the region, Syria is immersed in civil war and there is a danger that the region's largest arsenal of chemical weapons will spin out of control and become available to anyone - as happened with Libya's portable anti-aircraft missiles, which disappeared after the fall of of Colonel Gaddafi. In Egypt, the rise of Islamism threatens economic and political stability. Hezbollah is still in Lebanon, keeping alive its goal of eliminating Israel – just as members of Hamas do in Gaza. Despite sanctions, Iran is moving forward with the development of a nuclear bomb in its effort to become the regional leader and to export its Islamist and revolutionary ideology as widely as possible. There are also other areas in turmoil that directly affect Europe, such as the Sahel region of Africa, south of the Sahara, which is now becoming dominated by al-Qaeda. 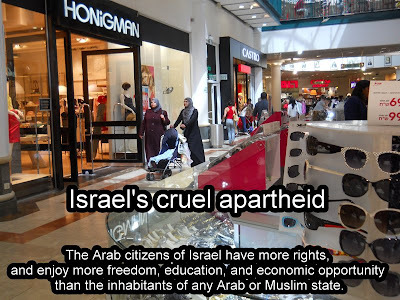 Isolation not only renders Israel weaker against its enemies, but also makes all Westerners weaker. And the practitioners of terrorism know all too well how to exploit our differences. Remembering Munich 40 years on should be a useful reminder of our successes and failures. It should help us to enhance our collective abilities to fight terrorism. Israel is key in this fight.Israel is a part of the West. 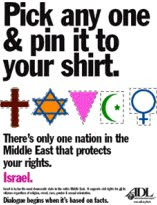 Israel is not the problem; it is part of the solution. 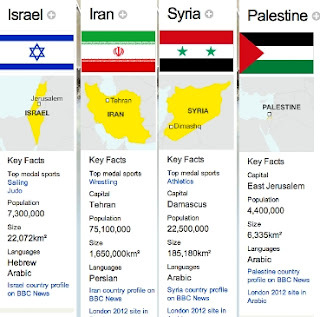 We will become the problem if we continue to cold-shoulder Israel, the country most affected by terrorism and, possibly, the one that knows best how to defeat it...."
"As you are aware, there have been a number of campaigns urging the IOC to hold a minutes’ silence during the Opening Ceremony of the London Olympics. Unfortunately the IOC has decided against this commemoration. So, the Zionist Federation UK is inviting you to join us in remembering the 11 murdered Israeli Athletes. On the morning of the Opening Ceremony, 27th July, we are asking people all over the world to stop for one minute and stand in silence as a personal tribute to those who lost their lives in the 1972 Munich Massacre. Wherever you may be and whatever you may be doing, please join us and stand in silence for one minute in silence as we remember. We will also be holding a short memorial service that will be streamed live via a webcast from 10.45am. You will be able to view this at www.minuteformunich.org.."
"What Will They Be Saying After Another Four Years Of Obama?" Here's a full-page ad that the Emergency Committee for Israel (ECI) has placed in 23 Jewish newspapers across the United States drawing attention to criticism by well-known political liberals regarding Barack Obama's policy towards Israel and to his fraught relationship with Israel's supporters over the term of his presidency. "President Obama has been trying to have it both ways – pursuing policies that weaken the U.S.-Israel alliance while boasting on the campaign trail that he is the most pro-Israel president since Truman. As the Obama campaign attempts to mislead about the president's record, it is important that American Jews understand what many prominent liberals are now conceding this president's approach to Israel has been hostile, ineffective, and at odds with the promises he made in 2008." 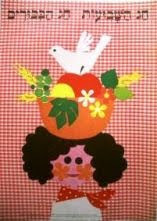 For more from the ECI re Obama see my next post but one. "In order to stay true to its stated principles, Cirque du Soleil must recognize that performing in Israel today disrespects the Palestinian call for a cultural boycott of Israel that aims at ending Israel’s violations of Palestinian human rights. A number of organisations and individuals have also expressed concerns regarding the Cirque de Soleil's plans. The Palestinian Circus School sent a letter to the general management of Cirque du Soleil calling on it not to perform in Israel...."
During its tour of Jordan, much indignation was apparent regarding the circus's forthcoming visit to Israel. 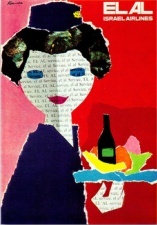 "Good cultural products have a human quality, appealing to all races, genders and nationalities. Culture is exceptional at exhibiting heterogeneity and displaying it. In reality, politics shouldn’t factor into which shows Friends of Jordan Festival brings to Amman … Seeing it as the fault of Cirque du Soleil is not the right paradigm." 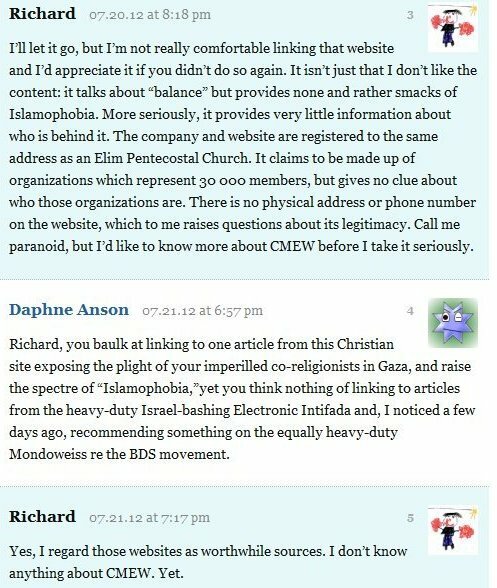 For recommending a (pro-Israel) Christian website that has highlighted the plight of Christians in Gaza I've been rapped over the knuckles, so to speak, by one of the Methodist ministers who blog not infrequently about the supposed crimes and shortcomings of Israel. It happened like this. A quite reasonable suggestion, I thought. 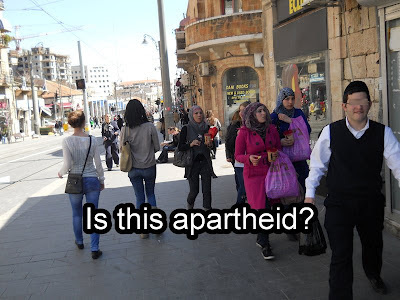 After all, the blog in question often, with alacrity, indeed with an apparent relish, draws attention to the plight, real and imagined, of Palestinian Arabs under Israeli rule. 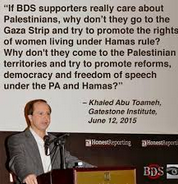 Surely it would wish to highlight the plight of Palestinian Arabs under the jackboot of Hamas. 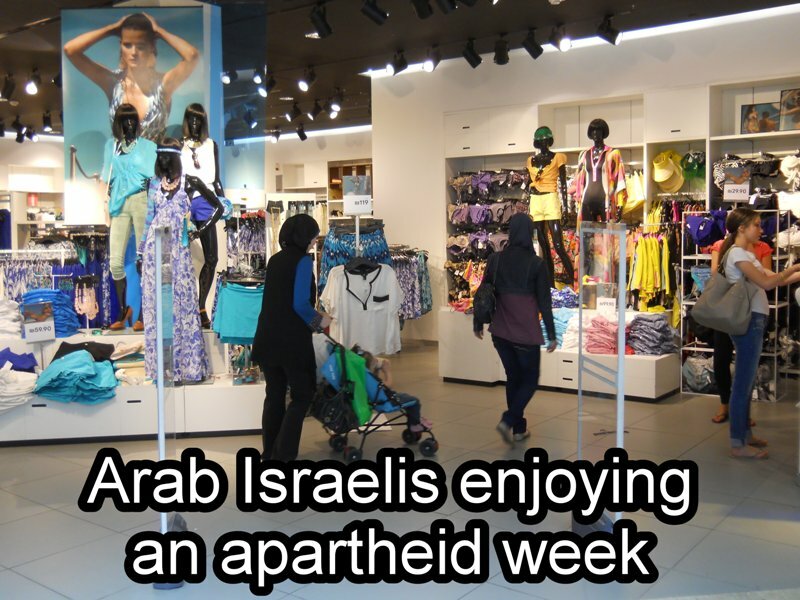 Especially when those Palestinian Arabs are suffering because they are Christians. But to no avail. 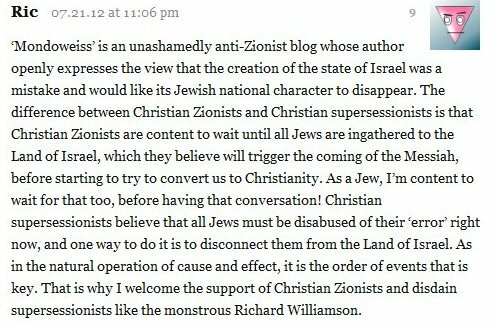 The Christian site's post that "rather smacks of Islamophobia" was decidedly unwelcome. Khaled Abu Toameh's article, also about the persecuted Christians of Gaza, was ignored. "Max Brenner, we can't hurt you. though we make hate into a virtue!" No, of course the Australian Israel-bashing ferals who habitually target the Max Brenner outlets in Australia screaming their hateful slogans and blood libels against the chocolatier don't chant that. But perhaps they might as well do. 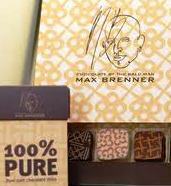 For even as they celebrate the exoneration of demonstrators who were arrested in Melbourne last year, their target Max Brenner, which has twenty-eight outlets in eastern Australia, has announced partnerships with a number of leading hotels. "As a brand, we’re very excited to be venturing into the area of brand partnerships. 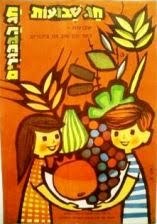 For us, we feel this is a critical next step in evolving our brand and spreading our unique chocolate culture across a variety of consumer audiences." 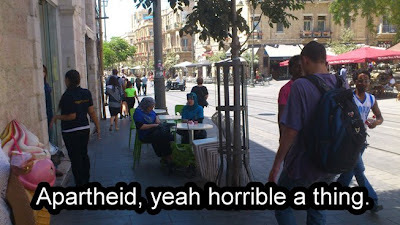 These photos were sent to me from Eretz Israel by Jean Vercors, who owns the copyright and provided the apt captions, and to whom I'm enormously grateful. Properly speaking, then, this is a guest post by him. The only further remark I will make is that it is a pity (nay, a scandal) that the BBC cannot be induced to show images such as these as representative of Israel, instead of those to which this recent article draws attention. "As Ramadan approaches, this documentary tells the story of three English gentlemen who embraced Islam at a time when to be a Muslim was to be seen to be a traitor to your country." "A traitor to your country?" Really? Or rather, like Lord George Gordon, the famous eighteenth-century convert to Judaism, a great British eccentric? Googling the topic of notable British converts to Islam, I came across a contemporary barrister who as the website of his chambers shows has written a number of informative papers such as this one. And then I saw this ... Oy! 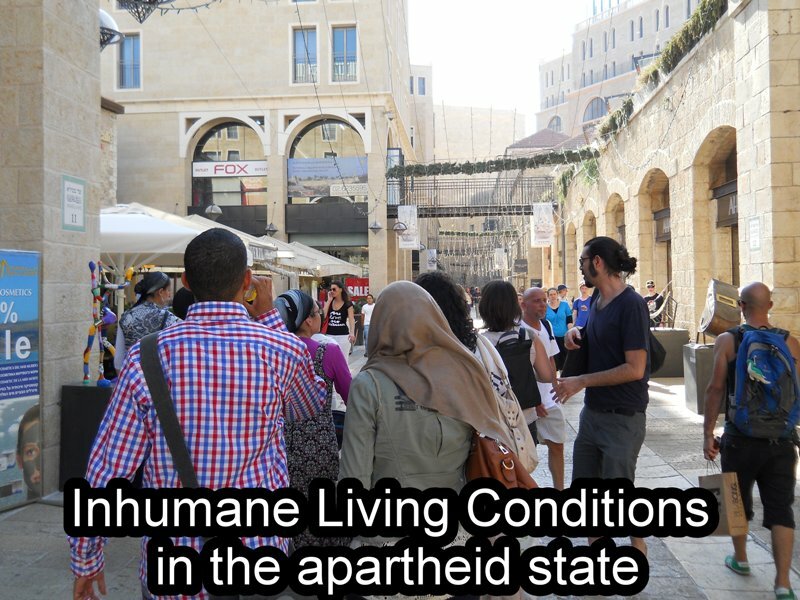 'The canard – supported by countless United Nations General Assembly Resolutions – that Jewish settlements in the West Bank are illegal in international law – has been dealt a crushing blow with the the recent release of the Levy Committee Report in Israel rebutting that claim. The Committee comprised a retired Supreme Court Judge (Edmund Levy), a Tel Aviv District Court Judge (Tchia Shapira), and a former Foreign Ministry legal adviser (Alan Baker). 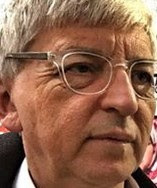 They were appointed by Israeli Prime Minister Benjamin Netanyahu in January 2012 to consider among other matters the legality of Jewish settlements established in the West Bank. The San Remo Conference held in Italy in April 1920 was the Committee’s starting point. 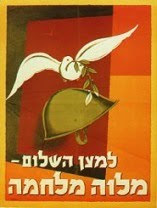 That Conference had laid the grounds for the eventual creation of the Mandate for Palestine as part of a Mandate system involving the disposition of vast tracts of territory held by the Ottoman Empire for 400 years – but lost by it following its defeat in World War I.
Whilst Arab self-determination was to occur in 99.99 per cent of the captured territory – the right of the Jewish people to reconstitute the Jewish National Home was limited to the remaining 0.01 per cent of that territory. "In August 1922 the League of Nations approved the Mandate which was given to Britain, and thus the Jewish people’s right to settle in the Land of Israel, their historic homeland, and to establish their state there, was recognized in international law. 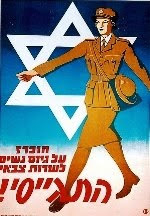 To complete the picture, we’ll add that with the establishment of the United Nations in 1945, the principle of recognizing the validity of existing rights of states acquired under various mandates, including of course the rights of Jews to settle in the Land of Israel by virtue of the above documents, was determined in article 80 of its charter"
The International Court of Justice had failed to consider the Mandate and Article 80 when it delivered its non-binding advisory opinion on 9 July 2004 that Israel had no legal right to erect part of Israel’s security barrier in the West Bank. That decision has since been used by the United Nations and detractors of Israel to repeatedly discredit and delegitimise Israel’s right to maintain its claim to sovereignty in any part of the West Bank and for Jews to live there. "The international legal status of the Palestinian Territory (paras. 70-71 of the Advisory Opinion), in my view, merits more comprehensive treatment. A historical survey is relevant to the question posed by the General Assembly, for it serves as the background to understanding the legal status of the Palestinian Territory on the one hand and underlines the special and continuing responsibility of the General Assembly on the other. This may appear as academic, without relevance to the present events. The present is however determined by the accumulation of past events and no reasonable and fair concern for the future can possibly disregard a firm grasp of past events. In particular, when on more than one occasion, the rule of law was consistently side-stepped. The point of departure, or one can say in legal jargon, the critical date, is the League of Nations Mandate which was entrusted to Great Britain." Regrettably Judge El-Araby’s sage advice was ignored – as the Levy Report now makes very clear. In one respect the International Court could be excused for failing to consider the Mandate and Article 80 – since the then Secretary General of the United Nations, Kofi Annan, had failed to include these vital documents in the dossier of 88 documents he was required to submit to the Court that were “likely to throw light upon the question” – as he was legally required to do under Article 65 of the Court‘s statute. The International Court’s decision was fatally flawed as a result. If you only submit half the relevant documents – you are sure to get only half an answer. Those persons who prepared the dossier of documents and Mr Annan himself now need explain how documents – deemed so relevant by the Levy Committee – were omitted from the dossier submitted to the International Court. 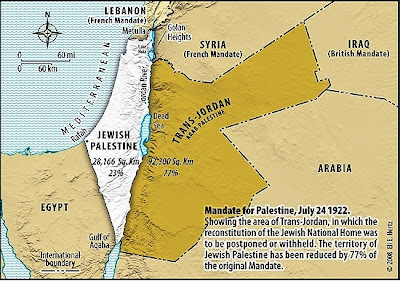 "... we have no doubt that from the perspective of international law, the establishment of Jewish settlements in Judea and Samaria is legal"
The Levy Committee dismissed the opinion of the International Court that the legal status of this tiny sliver of land between Jordan and Israel – the size of Delaware – was solely governed by the provisions of the Fourth Geneva Convention 1949 – when stating:. "We do not believe that one can draw an analogy between this legal provision and those who sought to settle in Judea and Samaria not as a result of them being “deported” or “transferred” but because of their world view – to settle the Land of Israel. 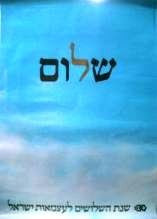 But even if this interpretation is correct, we would not change our conclusion that no analogy should be drawn between Article 49 of the Fourth Geneva Convention and Jewish settlement in Judea and Samaria, in light of the status of the territory under international law"
It would surely be the height of folly for the United Nations and Israel’s denigrators to continue to categorically spruik that Israel’s presence in the West Bank is illegal following the release of the Levy Report. The United Nations needs to come clean and investigate why highly relevant documents to support the legal claim of Jews to settle in the West Bank were withheld from the International Court. Will the egg splattered all over the United Nations following the release of the reasoned and considered Levy Report deter it from conducting such an investigation? The continuing use of the International Court decision and the Fourth Geneva Convention to assert that Israel has no legal right to remain in even one square meter of the West Bank must now be seriously questioned. Ironically Judge El-Araby is now the Secretary General of the Arab League and meets with Mr Annan frequently in Mr Annan’s new job with the United Nations trying to stop the slaughter in Syria. Maybe Mr Annan can explain the cover up to Judge El-Araby over a cup of Turkish coffee. "Supporters of a two-state solution must confront a stark question: is there enough land left for a viable Palestinian state?" "Genocidal aspirations? An what would you call Israel's policy towards Gaza, one of the poorest areas in the world, dying thanks to the blockade. Genocide. What would you call the constant displacement of innocent Palestinians thanks to Israeli terror for the last 64 years? Ethnic Cleansing. 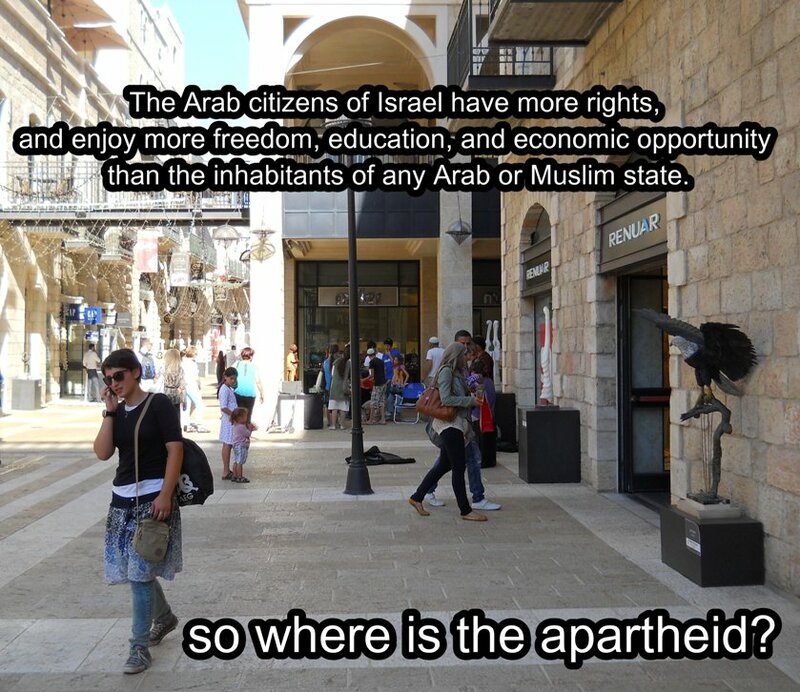 What would you call the discrimination against Palestinians living in Israel purely on the grounds they aren't Jewish? Apartheid. All three crimes against humanity. All three Israel is guilty of. 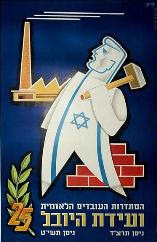 But the Zionist project is dying, there's no possibility of it surviving the way it is. Like South Africa the injustice will end and Palestinians and Israelis will live in one state equally and there's nothing you Zios can do about it. Bye bye Zionist project. Mission failed." The acclaimed Batsheva Dance Company is due to perform at the Edinburgh Playhouse from 30 August to 1 September as part of the Edinburgh International Festival. 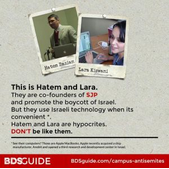 But inevitably the usual suspects have mobilised against the visit – "Don't Dance With Israeli Apartheid" is the name of a Facebook page, for example. 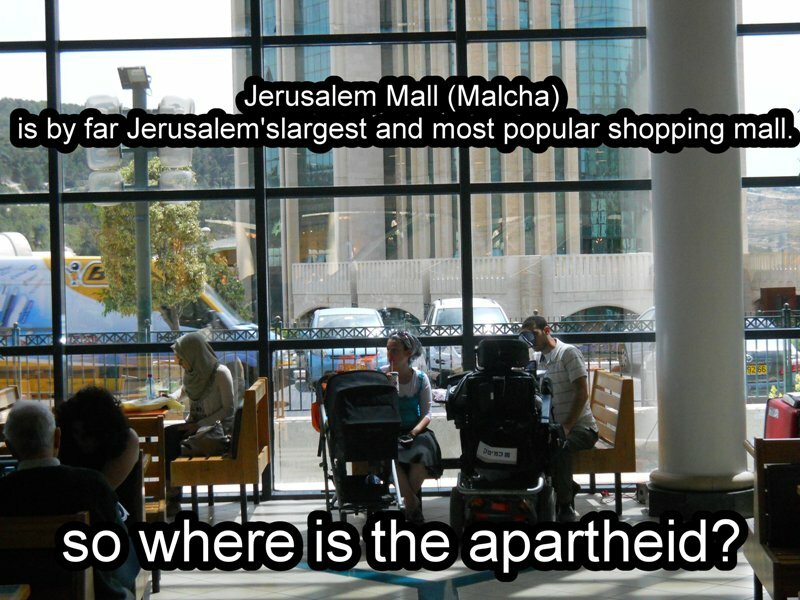 "Batsheva is the pretty face of the Israeli regime - heavily funded by the state, it is a major Israeli tourist attraction and acts a 'cultural ambassador' for Israel. 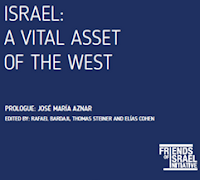 Batsheva is also supported by international 'friends of Batsheva' many of whom are ardent supporters of Israel. The Palestinian Campaign for the Academic and Cultural Boycott of Israel identifies Batsheva as a boycott target, so the Edinburgh International Festival is breaking the call of Palestinian civil society for solidarity action while helping to gloss over Israeli apartheid." What a gossamer-thin indictment. What a gossamer-thin indication of prejudice. '"We only hear voices telling us to stay where we are and to stop making too much noise," said a Christian man living in Gaza City. "If they continue to turn a blind eye to our tragedy, in a few months there will be no Christians left in Palestine. 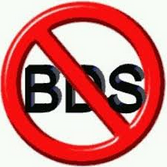 Today it's happening in the Gaza Strip, tomorrow it will take place in Bethlehem." The public protest by the Christians in the Gaza Strip is a first step in the right direction. This is a move that could finally draw the attention of the international community, including Church leaders across the US, to the real problems and dangers facing Palestinian Christians. I hope my Methodist minister friends, who like Stephen Sizer have been busy linking to such reports as this one by Ben White, take note. 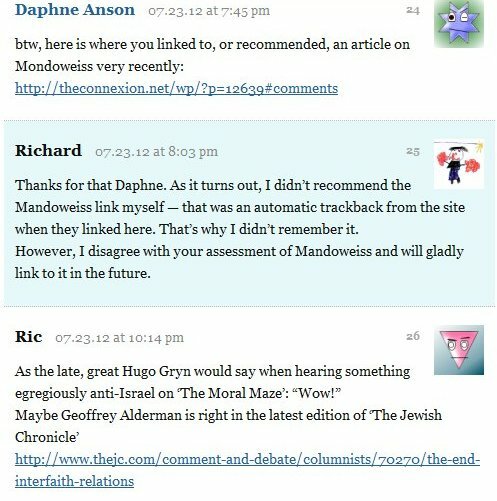 See here for a new critique of those four familiar Israel-demonising maps. The other day I was in a genteel local clothing store with a decidedly genteel clientele - the type of people who dress on weekdays almost as if they're going to church. 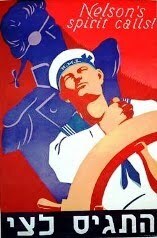 The staff, in manner and appearance, reflect the ethos. In the background, as usual, there was no obtrusive "musack" but there were the pleasant strains of classical music from CDs that the store sells as a sideline. As I approached the changing rooms, garment in hand, I heard a well-dressed middle-aged man ask the genteel, middle-aged sales lady standing nearby what the music (Smetana's Vltava) was that was being currently played. "I think it's Smetana," she said. "But I'm not sure." 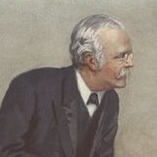 "Yes, it is Smetana," I heard myself saying, to smiles and nods. Evidently the store was about to notch up another CD sale. 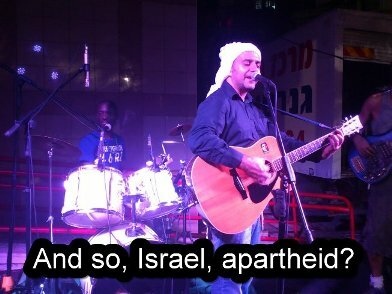 And then, for good measure, since these were obvious music-lovers, I added: "It's very similar to the Israeli national anthem." I suppose I expected to hear: "Really! How interesting!" or "That's a coincidence. I wonder why." Not a bit of it. The genteel customer and the genteel sales lady look profoundly shocked. Then the lady threw her head back and roared an off-putting kind of laugh, while the man, not to be outdone, swiftly followed with curious hollow guffaws. He didn't seem as keen to purchase a copy of the CD now. Clearly not so appreciative of music after all, I thought, pulling the velvet curtains of the changing room behind me. "Perhaps they're Methodists," I mused, as I struggled into my selected garment. "After all, the Methodists have just said nasty things about Israel at their conference. 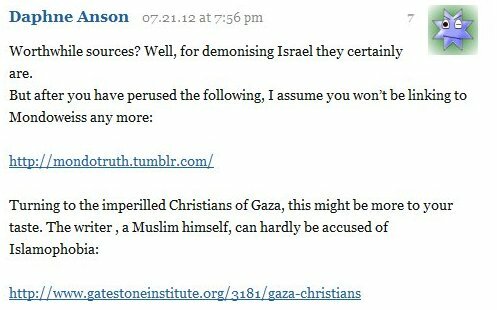 But come to think of it, so have the Anglicans ..."
But the truth is that they were probably just two more nice middle-class Britons who have been, without even realising it, indoctrinated against Israel and in favour of the Palestinians by the constant drip-feed from their agenda-filled national broadcaster, the BBC. Indeed, it seems to me that in some respects the anti-Israel propaganda on the BBC News website is getting bolder, with recent pieces by Farhana Dawood and Jon Donnison exemplifying this trend. The BBC, so prone to present a distorted narrative of history in order to serve the ends of political correctness and leftist agendas both at home and abroad, has now excelled itself in the propaganda stakes. Reflecting the position of the PLO, Fatah and the Palestinian Arabs, who have still to negotiate their way to what they desire, the BBC is now brazenly describing Palestine as a country, with its capital in East Jerusalem. Had the BBC chosen to declare that Israel comprises the whole of Mandate Palestine, as Likudniks want, there would be an outcry. 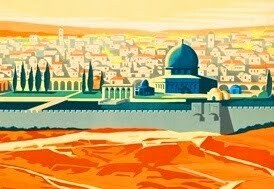 Its presentation of Palestine as a state with East Jerusalem as its capital, which is equally inaccurate, since it reflects a wish-list, should not be permitted to go unchallenged. Update: Following a slew of complaints, including one from Mark Regev, the BBC has been shamed into making this amendment regarding Israel: "Seat of Government: Jerusalem but most embassies are in Tel Aviv" and this regarding the non-existent state of Palestine: "Intended seat of government East Jerusalem. 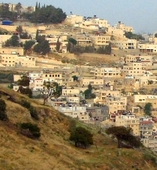 Ramallah serves as administrative capital". On Friday the odious BBC carried a report about an Arab singer from Haifa who has won an Israeli talent show featuring Mizrachi music, part of her act featuring a Hebrew song that commemorates Israeli soldiers slaughtered by Palestinian "militants". 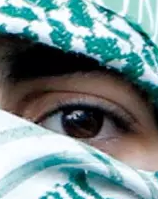 Instead of dwelling on the positive aspects of the young woman's victory, the BBC used the report, written by Farhana Dawood, as a hook on which to hang gratuitous propaganda against the Jewish State. 'Ala Hlehel, a well-known Arab writer and cultural commentator, says Mizrahi music is very popular in Israel but he insists its roots are Arab. He feels the music is an imitation of Arab music utilising similar instruments and vocal techniques. 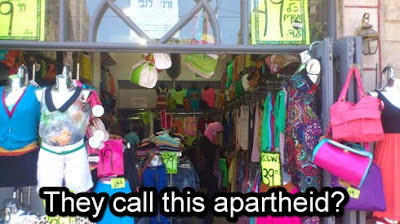 "You know the Mizrahis have a serious identity problem. 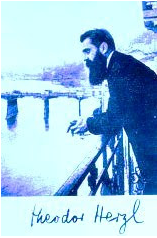 Call a Mizrahi an Arab Jew and he'll kill you," he says. As Lyn Julius, an expert on the history and culture of the Mizrachim, notes in her able exposé of Dawood's report, its biases and inaccuracies, this final paragraph contains the "antisemitic image of the money-grabbing Jew". In typical Corporation fashion, facts that sit uncomfortably with the BBC's agenda are distorted or omitted. "Mizrahim arrived in Israel from countries like Morocco, Tunisia, Iraq, Yemen and Iran in the years following its establishment. .... 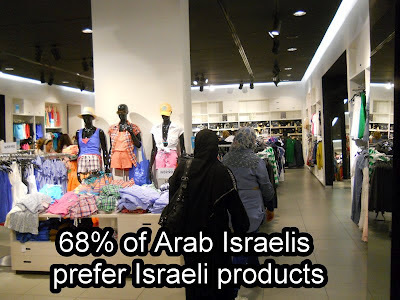 Despite several areas of common ground, there is no real closeness between Israel's Arab citizens - who mostly identify as Palestinian and make up about 20% of the population - and the Mizrahim." 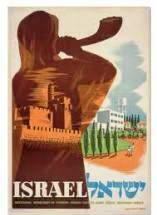 There's no reference to the Mizrachim who were settled in Eretz Israel long before 1948, of course. There's no reference to the persecution that the-post 1948 Mizrachi olim faced in the Arab world, and that they fled Arab lands as refugees. So keen is Dawood to demonise Israel that the Arab singer who won the contest is virtually eclipsed amid the propaganda. One of the latest Israel-demonising lies to be exposed concerns the so-called children's drawings from Gaza (see image above for a taste) on exhibit in North America; these faked images have rightly been described as "slander". And there's a lot of such slander about. 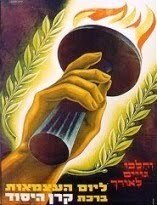 David Bukay, a political scientist at Haifa University, has written a detailed, footnoted, thoroughly readable article about how the Palestinians have distorted Jewish history in Eretz Israel, in order to intrude their own claims, and how in the process they are succeeding in hoodwinking the world. 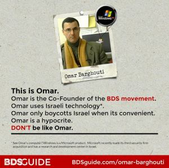 "Another Palestinian tactic is aimed at co-opting Christianity. For the PA leaders, Jesus is defined as a Palestinian who preached Islam, thus denying not only Jewish history and Christian legitimacy but also strengthening ancient Palestinian history. According to this narrative, Jesus was a Muslim prophet, like all other Jewish-born figures, who was born in Bethlehem, lived in Nazareth, and moved to Jerusalem. 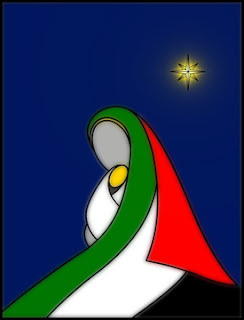 Therefore, Jesus the messiah is a Palestinian par excellence, the son of Mary the Palestinian. The Virgin Mary, the woman of love and peace, is of the nation of Palestine, whose roots are grounded in the depths of history. Jesus is a shahid, a holy martyr of Islam, the only Palestinian prophet, and the first Palestinian shahid who was tortured in this land." 'The alleged Zionist process of theft and usurpation is, in fact, precisely the official Palestinian policy toward Jewish history. Most of the population now known as Palestinian descended from migrants originating from the surrounding Arab countries and from local Bedouins. Many migrated in waves from the middle of the nineteenth century to the middle of the twentieth century. Others were imported by the Ottoman Empire and by the British for infrastructure and agricultural projects, or migrated to the region following Zionist economic success, which produced a staggering population growth. 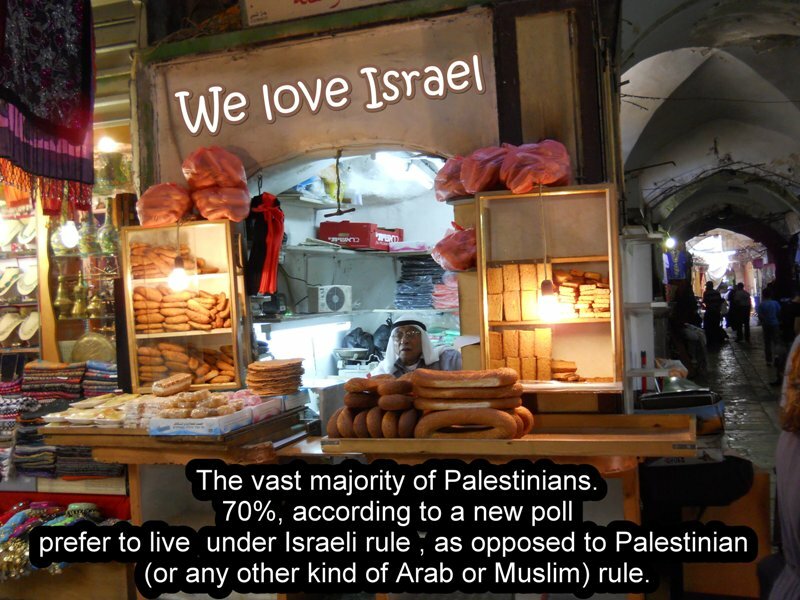 Palestinians are perhaps the newest of all peoples, comprising many scattered groups. In fact, in origin they are more Egyptian, Syrian, Jordanian, Lebanese, and mainly Bedouin, than Palestinian. 'All their leaders' declarations and policies clearly show that they have never moderated their primary objective, which is to eliminate the State of Israel. From the Abadan ("never") rhetoric of the 1920s through 1948 to Arafat's "phased strategy," adopted at the June 1974 Palestinian National Congress, Palestinians still lay claim to a land "from the river to the sea." Palestinians appear unwilling to compromise, to recognize Israel as a Jewish state, or to accept an Israeli state on any territory they call Filastin. .... Palestinian political evolution is closely tied to Israel's territorial and political development in two continuous phases. 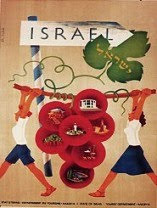 The first emerged after Israel's independence in 1948 and differentiated the Palestinians as a social group of Arab refugees, also called "Palestine Arabs," and lacking obvious cultural, social, or political characteristics that distinguished them from their Arab kin, who largely reviled them. 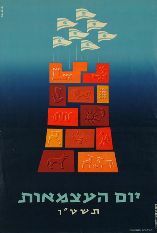 The second phase developed after the 1967 Six-Day War; Palestinians then became a political group seeking to develop a national identity during the period of global anti-imperial and anti-colonial ferment. But even as a Palestinian national identity has been developed and marketed, it is overwhelmingly founded on the negation of its rival, namely Jewish and Israeli identity, rather than on positive attributes or real history. 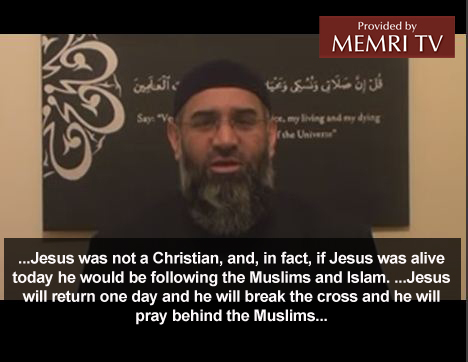 Incidentally – to judge from this – hat tip reader Rita – it's not only Islamic extremists like the notorious British national pictured who insists that Jesus was a Muslim (if so inclined, read more about his December 2011 broadcast and get a link to the video here). Nor only those who EDL leader Tommy Robinson spoke about recently in a speech that touches on Israel and Jews – hat tip reader Shirlee – before the European Parliament, the Islamists who unfurled a big banner saying "Jesus Was A Muslim" in Birmingham city centre and proceeded triumphantly to convert a young boy to Islam. In Tel Aviv, Guns N' Roses Play "Hatikvah"